Here is the list of some of the most recent car launches in India. The list of cars mentioned below have been some of the most talked about cars in many car reviews. Read along to know which cars made it to the list. The 2018 Maruti Suzuki Ertiga launched at the price of Rs 7.44 lakh ex-showroom pan-India. The latest car launch reviews have acclaimed the car really well. Ertiga is available in 10 variants, including two petrol automatic variants. The new Ertiga is redefined by size being 99mm longer, 40mm wider and 5mm taller than the old version. Interiors look premium with wooden touch. Climate control feature is also available in the Z and Z+ variants of the new Ertiga. A 1.5-litre petrol engine borrowed from the Ciaz powers the latest Ertiga. It manages to make 105PS of max power and 138Nm of peak torque. Transmission duties for the car is maintained by either with a 5-speed manual or a 4-speed AT gearbox. The 1.3 litre diesel engine remains the same as the older one. 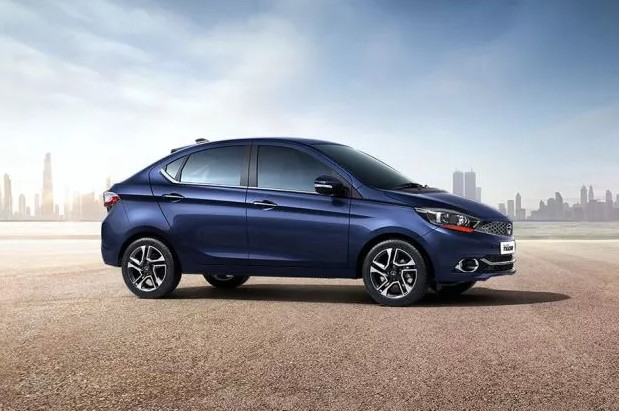 Tata launched the Tigor JTP at an introductory price of Rs 7.49 lakh, ex-showroom Delhi. This is considered as a performance variant of the regular Tigor. The JTP version gets the turbocharged version of the 1.2-litre petrol motor, which also powers the Nexon. The additional grunt makes the Tigor JTP fast in a straight line. Tata claims that the car can do the 0-100kmph run in 10 seconds! The Tigor remains consistent on twisties too, considering as it has the lowered and stiffened suspension along with the fatter rubber. Hyundai launched their long anticipated 2018 Santro, the small family car in October 2018. Based on its new platform, the so called tallboy has been transformed into perfect modern hatchback. It is packed with quite a lot of features including a touchscreen infotainment system with Android Auto and Apple CarPlay, rear AC vents, reverse camera and steering-mounted audio controls. A 1.1-litre, four-cylinder engine that making 68PS/99Nm (petrol) and 58PS/84Nm (CNG) respectively powers the New Hyundai Santro. The petrol version will be available with a 5-speed AMT over and above the standard 5-speed manual gearbox. The price range of Santro 2018 falls between Rs 3.89 lakh and Rs 5.65 lakh. Mahindra finally launched its flagship SUV, the Alturas G4, a full-size seven-seater SUV available in two variants – 2WD and 4WD. Priced at the rate of Rs 26.95 lakh to Rs 29.95 lakh respectively. Both variants the variants of Alturas come with 2.2-litre, four-cylinder diesel engine creating 181PS of power and torque of 420Nm. This engine is mated with a 7-speed torque converter automatic gear, which is actually sourced from Mercedes-Benz. The Alturas G4 is a feature loaded vehicle having ventilated seats, HID projector headlamps, leather upholstery, sunroof as well as an aesthetic 7-inch display in the instrument cluster. Previous PostWant to Start Your New Business This 2019?